I'm so glad to hear this. I was worried about Chewie. Please let us know how everything goes! I'd love to hear about her new home and how she adjusts! I am so happy for you and especially Chewie. I have been watching this thread and was worried for this cutie pie. Thank you for being vigilant for his well being. this is great suzanne!!!!!!!!!!! we wish chewie all the best in his new home. great news I hope you'll keep us posted. Hello all! Chewie made it safely to her new home in California today. Her new family reports she's a little scared, but doing well. Thanks to everyone! So happy to hear Chewie has found a loving home...you should tell the new owners about this web site and maybe they could let us all know how Chewie is adjusting....this is great news. I'm glad Chewie had a good trip. Hopefully she will soon be adjusted to her new home. Yes, it would be great to hear how she's doing now and then, if her new family would like to join! Chewie has settled in very quickly and happily with her new home and family. Best to all! 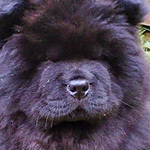 Any new updates will be in community discussion so other chows in need of new families have the spotlight. Thanks for the update. I'm glad to hear she's doing well! Hi everyone, I'm Chewie's new owner here in California. in the heart of Silicon Valley, California with only four days under her collar. 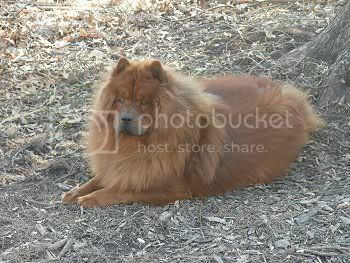 She's a character, actually a little princess that needs to learn how to be a Chow Chow. Though I do have to say she's got aloof down pat. Thanks for everyones concerns, suggestions and recommendations. Congradulations and thank you for the update on Chewie.wishing you all the best and please keep us posted. I'm glad Chewie has settled in for you. Please let us know how it continues to go! I'm so happy Chewie found a new home; I've got a 5 year old chow girl rescue who doesn't like other girls very well, either, not to mention I'm pushing the envelope having a chow where I'm at (onthe restricted list), and still waiting to hear if I'll have a job come January (new administration coming in). Other than those few problems, I'd have offered her a home myself! Its been almost three months since adopting Chewie, and she is doing really well. being a dog, and kept her distance from my other two chow girls (as expected). 1. she tried to entice the other two to play with her while laying on her back and being complete submissive. Really happy that she's here. I'm so glad that Chewie is coming along so well. Thank you so much for the update!! 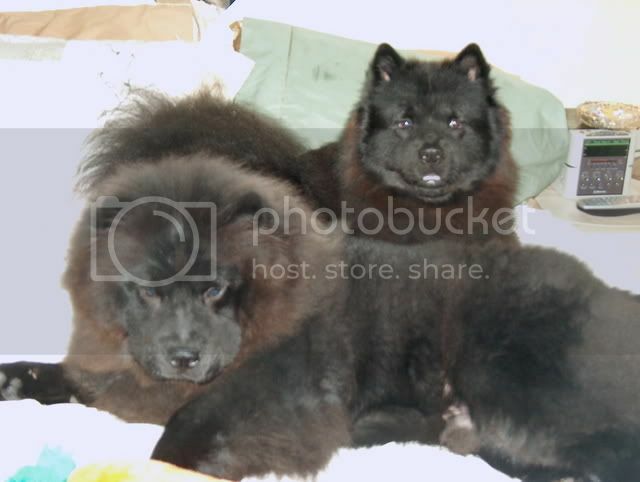 another since Funny's sister (Chow Mein) died on March 04, 2009 at the age of 14. Both have shown signs of missing their house/yard mate, but seem to be bouncing back. Chewie is leading Funny to the dogpark and Funny is schooling Chewie about being a dog and how to act like dog too. Chewie love going for rides in the car with no particular destination as long as she can see the world beyond her backyard. closer to her rather than within Funny's reach, then looks so surprised when Funny actually takes and eats it. Chewie has a new playmate, Bruin!!! a 14mo old male from Rocket Dog Rescue. He loves to romp and play, and just what Chewie needed. Never new she'd play ball. Bruin loves balls, she loves to take it from him and he'll chase her for it. Pict to follow in a day or so. Yeah! Sounds like they are going to be a great brother and sister pair! That's wonderful to hear. I'm sure Bruin has adopted a wonderful new forever family. Welcome to the board and I hope you and Bruin have alot of wonderful years together! I'm so happy to hear Bruin has found such a great home!! Its been a year and two days since Chewie came to us. Looking back at the day when she arrived, nervous and scared about being in a new place and with people and dogs that she didn't know. She was a prissy little princess and didn't really know how to be a dog. Funny little quirks that we noted were: Wouldn't walk on the lids or cover plates on the street or sidewalk, avoided puddles and didn't know how to chew or gnaw on bones and doesn't like people food. But now, she has become a real dog, hunts and chases birds/squirrels and some buttlerflys, can shake paw upon request, wrassles with Bruin and others dog at the dog park, gnaws bones like the best of them, barks/growls are strangers or unknown things/noises, and really loves chicken, beef, tuna and salmon and has learned to care for Chow Fun, and most recently milk foam (macchiato w/o espresso) and loves to swimming in Lake Tahoe and going for daily scootering(run). She's still a little shy with people, and somewhat aloof with other dogs unless she has known them for several month (at the dog park). This weekend we celebrated with her doing our usual with her and the other two (Bruin/Chow Fun). Really glad that we were able to adopt her. I love reading the after parts of the "happy ever after" stories and this one is just great. What a fantastic family Chewie got for herself when she landed in California. I was just looking at the photo of the three of your chowkids and one hauman one as well in another thread. They look so happy and relaxed together. You are an advert for keeping more than one chow of the same s*x together. Thank you for giving these beautiful creatures the chance of a happy and healthy home. Your chowkids are beautiful. A little picture or two here would be nice.